"Always available with a smile!" "My agent was great and treated me like a friend." "How kind, courteous, and very understanding!" "I was very pleased and appreciated all the help in finding my new home." "My husband was doing searches online and ended up calling to ask questions. He immediatley felt comfortable. Professional, experienced, knowledgeable, yet still warm and personal." "Outstanding! Attention to clients needs and development of customer relationship is great!" "The personal service and care given in making us feel like we were being looked out for, not just another "job" for Sandra. It's refressung to know services still exist!!!" "Above and beyond, from the start to the finish, nothing but professionalism!" "Excellent friendliness, enthusiasm and willingness to help." "Understood what we needed, friendly and patient." "I couldn't have asked for a better experience. What stands out most is how important it is to have a great REALTOR to make the process easier." "We are completely satisfied. Thank you for your hard work and dedication!" "Outstanding... Professional... A joy to work with!" "All services performed in good quality manor!" "We went from trying to rent buying a new home, thanks to their dedication and helpful strategies." "Was wonderful, always encouraging & reassuring. Very well organized and very accomodating." "Complete Satisfaction! Made our home buying fun!" "Sandy went above and beyond throughout the entire process. She was patient and supportive during the ups and downs we experienced. She was easy to get a hold of and communicated with us constantly. Thank you Sandy, we loved working with you!!! "Sandy was eager and willing to help us find our home in a desired area. We searched for several places before we finally found the right "fit". Sandy was willing to show us as many houses as we needed for us to find the a place we could call home. Sandy helped us find a rental a year earlier, when no other realtors would return my calls, so I was MORE than happy to give her our business when it was time to purchase a home!" "Sandy helped us above and beyond our expectations...she really looked out for us.. She is the best!!!! She helped us buy our dream home!!! We love her!!" "I have used Sandy a few times. She helps find the right home that you are looking for, and keeps looking hard until she finds the right one. I will always use Sandy, she cares and shows it. "I am very satisfied with Sandra's work. She is very responsible and experienced, and helped us a lot! My neighbor had used her service and were happy with her, that was how we got to her. I recommend her. We will definitely ask for her service in the future again." "This is my 2nd purchase with Sandy. She makes the home buying purchase process very smooth and stress&#8203; free. She is always available for questions. The 2nd home I purchased was not on the market yet. She called the owners to see if they would be willing to sell and she made it happen. She worked hard to negotiate the best deal for me. I highly recommend her because her work ethic and enthusiasm towards her job and making her clients happy is her #1 priority." "We told Sandy we were looking for a family oriented community with great schools. I can't imagine a better place than the Country Walk subdivision in Round Lake Beach! She was very responsive to our needs and did wonders finding a great place in our price range. Thank you Sandy!" "She was on top of the entire process of selling this home. Very easy to talk to and great knowledge of the area. A true pleasure to work with. I have even kept in contact with her even after the home was sold." "We have been working with Sandy for years. She is the best out there! Sandy is very knowledgeable, helpful and most importantly she keeps your best interests in mind. We've bought houses through her and she has helped us with our rental properties as well. We've recommended Sandy to our family and friends, they were very happy with her service." "CUSTOMER SERVICE RESURRECTED! With so much being done over the internet, I thought this would be a similar experience. Put the information on a web-site and let potential buyers figure it out. I was never so glad to be so wrong. Sandy works on behalf of her clients. With the first appointment, she came armed with "comps" to realistically (and accurately) value my home. After signing the contract to list with her, she went to work--literally, by helping me to better position some things to enhance its appeal. She never let up--not even when she was on vacation out of the country--and even after my home sold quickly--just as she expected. Sandy took my calls, calmed my nerves, and even worked on finding me a rental. I thought this level of service was dead. Sandy epitomizes the gold standard in customer service. If you're looking for knowledge, hard work, and that personal touch, you can't go wrong with Sandy." "My wife and I have worked with Sandy twice, first with a rental and then with the purchase of our current home. Sandy makes both processes not only easy, but actually enjoyable. 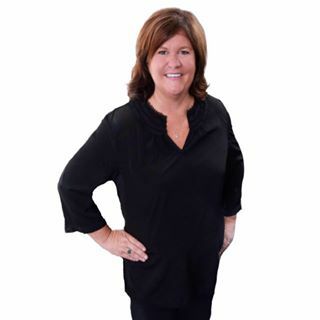 In addition to having all the qualities and skills of a top-notch realtor, (professionalism/market knowledge/process knowledge) she has such a genuine personality and sincere concern for her clients. I am not generally one to write reviews online, but Sandy deserves this review and a hundred more exactly like it. HIGHLY RECOMMEND. "I bought 2 condos through Sandy, not just one. That speaks for itself that she is the best out there. Best qualities I like about Sandy - Very prompt in replies, always reachable, very friendly and with a good heart."